A film based on a real stoning incident in rural Iran was always going to be a harrowing watch – it is. Having said that it’s also incredibly life affirming, doesn’t link the barbaric killing to Islam, and is terrifically well acted. Co-writer/director Cyrus Nowrasteh may sadly not have been able to make the screening at Amnesty International’s UK headquarters, but he’s delivered a film which is interesting, suspenseful, deeply sad and often quite moving. I expected a film shot almost entirely in Farsi (with subtitles) to be quite heavy going, but nothing could have been further from the truth. It’s a shame it hasn’t been more widely available – I only knew about it through Amnesty! Soraya Manutchehri was stoned to death in 1986 (when the film is set), and is played with considerable grace and intelligence by Mozhan Marnò. Soraya was locked in a loveless marriage to the violent mysoginist Ghorban-Ali. She refused to grant him a divorce so that he could’legitimately’ play with prostitutes and marry his girlfriend – the price she paid was betrayal by her family and community and a violent murder. ‘The Stoning of Soraya M’ is a dramatised account of French-Iranian journalist Freidoune Sahebjam’s (played in the film by Jim Caviezel) real life encounter with this community and the murder’s aftermath, and it’s a searing indictment of both Sharia Law and the absence of meaningful rights for women in the Islamic Republic. Soraya would have had to prove her husband’s guilt, had she accused him of adultery – she on the other hand had to prove her innocence when Ghorban-Ali accused her. And he did, prefering to abuse Sharia Law as a means of getting out of his marriage, rather than repay his wife her dowry. In a town run by criminals and thugs, it turned out almost everyone could be turned by invoking God. It’s a poignant watch, considering the role women are playing in the events following the fraudulent presidential election in Iran, and Nowastreh doesn’t pull any punches. You are shown Soraya’s murder in graphic detail – its sheer barbarity and pointlessness. 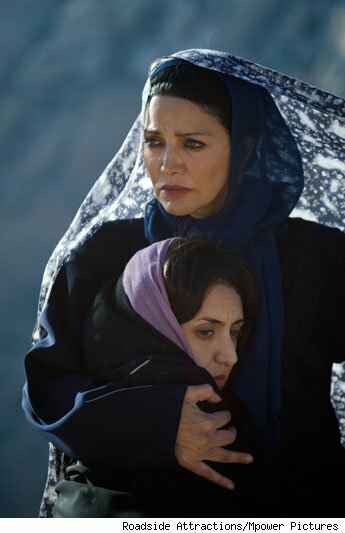 When she and her aunt (& protector) Zahra (played with immense charisma by Shohreh Aghdashloo) protest the impending murder, all they hear is ‘God is great!’ When unquestioning belief trumps rationalism, when mob rule is state sanctioned, it’s clear that anything is possible. The stoning of women is a practice which persists to this day in the Islamic world, and is one of many abuses of women which urgently need to be confronted. You have to hope that the protesters in Iran, people such as Zahra, find a way through the system which by its nature determines women to be second class citizens, and gives them the equality they are self-evidently entitled to. No one could expect Muslims to support Blair, said Huda Jawad, director of the Muslim charity Forward Thinking, because of his “foreign policy”. Never mind allegations that Blair or his people lied about the case for military action, which they did not, this is one of the great dishonesties of recent history – that Blair’s foreign policy, which included the rescue of Muslims in Kosovo, was directed against Islam. This is by John Rentoul, a biographer of Tony Blair’s, for those interested. But the Guardian can reveal that the Met was aware for years that the six officers involved were the subject of repeated complaints. According to documents submitted to the court, four of the officers who carried out the raid on Ahmad’s home had 60 allegations of assault against them – of which at least 37 were made by black or Asian men. One of the officers had 26 separate allegations of assault against him – 17 against black or Asian men. The Met has confirmed that since 1992 all six officers involved in the Ahmad assault had been subject to at least 77 complaints. When lawyers for Ahmad asked for details of these allegations it emerged that the police had “lost” several large mail sacks detailing at least 30 of the complaints. Scotland Yard said that all but one of the 77 allegations against the six TSG officers had been found to be unsubstantiated, because the complainant failed to assist them any further, the complaint was withdrawn or informally resolved, or investigated and found to be unsubstantiated. How convenient for them. They themselves discounted the complaints against them because the complainants were too scared of them to proceed any further? I thought that Sir Paul Stephenson said that the force was no longer institutionally racist? Surely a story like this proves it couldn’t be more of a problem for a force which still appears eager to act like a law unto itself. During his arrest, (Babar) Ahmad was punched, kicked and strangled, the court heard. At one stage, one of the officers grabbed his testicles and he was also deliberately wrenched by his handcuffs – a technique known to cause intense pain. During the hearing, it emerged that the Met had lost “a number of large mail sacks” containing details of other similar allegations against the officers who assaulted Ahmad. An IPCC investigation in 2007 ended with no action being taken against any officer. Evidence has not been produced against him, and he has never been charged with any offence. Quite rightly the Met were forced today to pay £60,000 in damages against him. Jacqui Smith is a Foul Hypocrite! Geert Wilders was due to show his 17-minute film Fitna, which criticises the Koran as a “fascist book”, at the House of Lords tomorrow. But he said he received a letter from the Home Office refusing him entry to Britain because his opinions “threaten community security and therefore public security” in the UK. “She gives visas to demagogues who incite violence and murder, while banning from the UK a Dutch MP who has never incited violence against anyone. “I do not agree with Mr Wilders, but he has never threatened violence against Muslims. “The Home Secretary regularly grants visas and work permits to Jamaican reggae singers who openly incite the murder of lesbian and gay people. Incitement to murder is a very serious criminal offence. “The Home Office and Metropolitan Police also allow radio stations and record stores to promote their murder-inciting CDs. “Last November, Jacqui Smith gave Jamaican reggae singer Bounty Killer (Rodney Price) permission to perform at a concert in east London. He had been banned from Guyana earlier in 2008 over his murderous lyrics, but the British government said he was welcome to sing in the UK. “It is double standards to ban Geert Wilders and not Bounty Killer. No good will come of this revolting cowardice. We have damaged relations with a friendly country; we have given the idiotic Wilders a dignity he doesn’t deserve; and we have once again cast British Muslims, quite unfairly, in the role of potential murderers. Was Ken brought down by Gordon Brown’s poisonous effect on the Labour Party? Was it the £25 4×4 congestion charge? Was it a backlash against his embracing of London’s diversity or his meeting Yusuf Al-Qaradawi? Was it his support for Fidel Castro and Hugo Chavez or his failure to get the tube running properly? Was it his support for the corrupt Sir Ian Blair, or the street crime which spiralled out of control, despite the figures the Metropolitan Police lazily fell back on? Worse still was it Brian Paddick’s failure to direct his supporters’ second votes to go to Ken? Boris Johnson isn’t a fan of ethnic minorities, homosexuals, poor people or London for that matter, yet London has just voted him Mayor. London elected someone with the right attitude and experience for two terms, then reflected and decided “he’s been in the job too long” and supplanted him with a bumbling oaf of a man, who’s never prioritised London’s affairs as an MP, and doesn’t support measures such as the congestion charge which have already been proven to improve London’s environment. Seems a bit bonkers doesn’t it? But whilst extremely upsetting and worrying, it was actually quite predictable. The diversity agenda quite simply doesn’t operate in a straight line. Livingstone came in with the creation of the job in 2000 promising genuine change, and he delivered. More than anything he set about breaking the disproportionate privilege previously only held by the white middle-class – the funding of ethnic minority groups, the congestion charge, the promotion of ethnic and subcultural events like Pride by City Hall – Trafalgar Square has never been busier, more educational or diverse – these have all acted to raise the profile and power of London’s minorities. Except a) now there’s more of a level playing field they’re all flexing their muscles in ways previously unthinkable and b) the middle classes will never overwhelmingly support the championing of policies, approaches or attitudes which act in others’ best interests. (whilst) every success brought acclaim (it) also seemed to erode his sense of humility. The line between self-belief and arrogance can be a thin one. Self-belief was a essential component of the construct Livingstone had so successfully sold to the public over almost 30 years. Arrogance, descending all too frequently into shows of petulance, only served to degrade it. That’s a really strong analysis I think. He was right to battle the disgusting Evening Standard, but it was a pointless battle. He was right to bid for the Olympics, but London wanted to hear he wanted it for community and sport, not merely for the development money (which was, after all, a prime priority for his position). He may have championed gay rights with his partnership register (the precursor to civil partnerships), but his open support of Islamist cleric Yusuf Al-Qaradawi compromised a key component of his support from the gay community. Was he right in saying the right wing tabloids didn’t represent Al-Qaradawi’s views fairly? Probably. But he also refused to acknowledge that the cleric might have misrepresented his real views to him too. 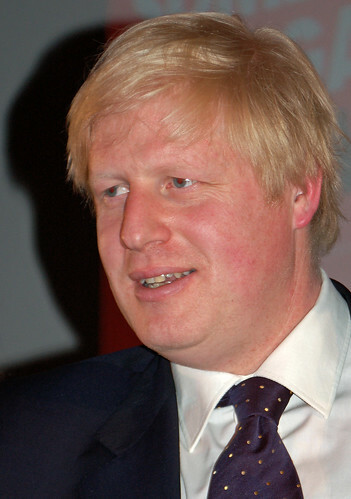 And then he really backed the wrong horse with Sir Ian Blair (whom Boris now needs to fire from chairing the Metropolitan Police Authority, as promised). Supporting a Metropolitan Police Commissioner who remained more concerned with saving his own neck following his corrupt attempt to block the investigation into the Met’s murder of Jean Charles de Menezes was just bananas. With people’s experience of street, knife and gun crime escalating out of control in Ken’s last term, he could then never say he was the Mayor of law and order.